The Gilas Pilipinas loses 50 points in their tune-up game against the Ukraine team. The Gilas team play without Andray Blatche and Paul lee due to minor injuries. This is the 3rd consecutive loss of Gilas Pilipinas in their tune-up games. Having their good performance vs the France basketball team gives us a thought that our Philippine team has a caliber but this Ukraine team demolished our Gilas Pilipinas 114-64. Lypovyy lead the Ukraine team with 16 points, also Mishula 14, Zaystez 12, Mikhailiuk 12, Gladyr 11, Zabirchenko 10, and Kravtsov added 10. While in the Gilas team had only two player who got double digit points by Ranidel De Ocampo with 11 points and Jeffrey Chan with 10 points. 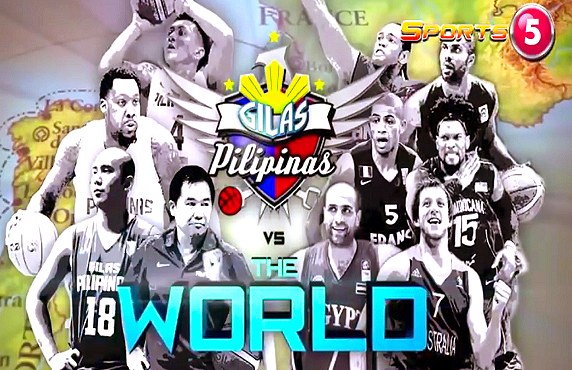 Watch the Full Game Video of Ukraine vs The Gilas Team. The Ukranian Team uses their Speed and Height to easily win the Game. Ukraine 114: Lypovyy 16, Mishula 14, Zaystez 12, Mikhailiuk 12, Gladyr 11, Zabirchenko 10, Kravtsov 10, Pustosvonov 8, Jeter 7, Natyazhko 6, Korniyenko 4, Zavadskiy 4. Philippines 64: De Ocampo 11, Chan 10, William 9, Tenorio 5, Belga 5, Dillinger 5, Alapag 3, David 3, Aguilar 2, Fajardo 2, Washington 2, Pingris 2, Norwood 0. Quarters: 21-16, 61-35, 83-48, 114-64. The next game of the Team Pilipinas is on August 19 against the Euskadi team at Spain. Delayed Telecast August 20, 8pm / Replay on August 21, 10:30pm.